Hey Guys! 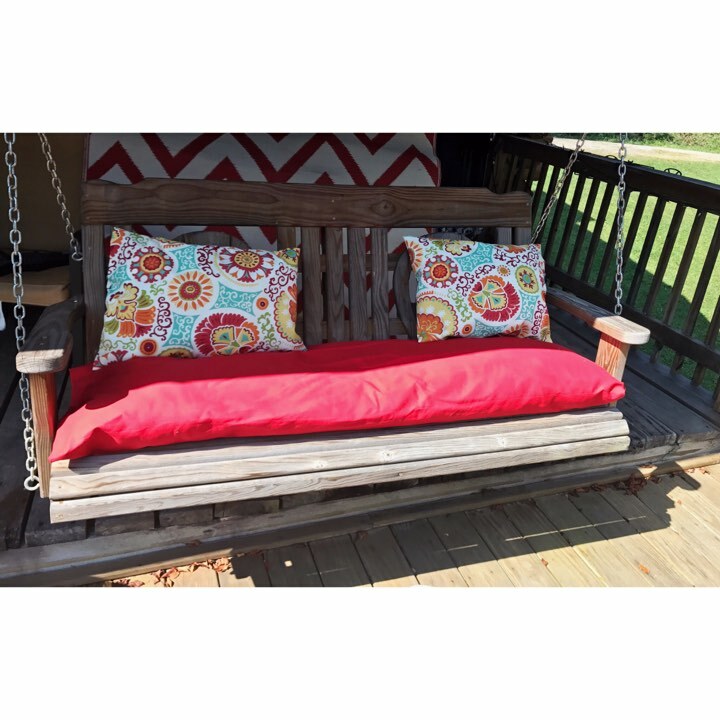 Today I wanted to do a blog post about how I made these no sew patio cushions! I had been on the hunt for cushions that fit my oddly shaped furniture for a while and with no luck decided I could make my own. My only problem was I don't sew. So after asking around and combining various methods from the internet I came up with this DIY. Things you will need: Industrial iron on fabric tape, Industrial Velcro, Fabric Glue, Outdoor fabrics, and pillow inserts or stuffing. I purchased everything from Joann's with coupons and it was super cheap. So to begin measure the size of the furniture in question and cut your fabric a little bigger than that on all four sides. It doesn't matter if your fabric is cut even. Then turn the fabric so that the outside of the fabric is showing. Measure the adhesive tape to the size of the two long sides and one of the short sides. Put the tape between the fabric and fold the fabric so that the inside is now facing out and the outside fabric (the pretty side) is folded inside. Iron the adhesive tape on medium heat and wait for it to cool. Make sure all three sides are bonded and turn the pillow inside out. This should reveal 3/4's of a pretty pillow or cushion. Stuff the cushion with the pillow insert or stuffing to you're liking. From here you can either add Velcro or seal up the 4th side of the fabric tape. If you add Velcro I suggest gluing it on with fabric glue because even the industrial Velcro doesn't stick very well. If you chose to seal it fold in fabric on each side to make an even seam and put the iron on strip in between and iron until bonded. If you have any questions feel free to send me and email or DM and I will help you! Hope you guys enjoyed and have a great rest of your week!